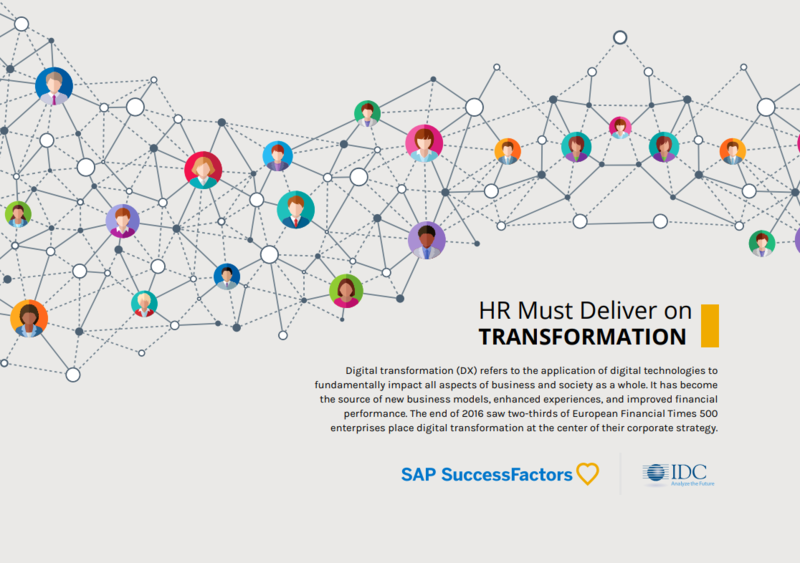 Demonstrating the financial value of investing in human capital management (HCM) solutions is a big challenge for most businesses. The challenge is rooted in the difficulty of accurately measuring the value of employees in monetary terms. Nevertheless, businesses need some way to estimate the likely return on investment from HCM solutions. One of the easiest ways is to look at the gains reported by other businesses using similar solutions. 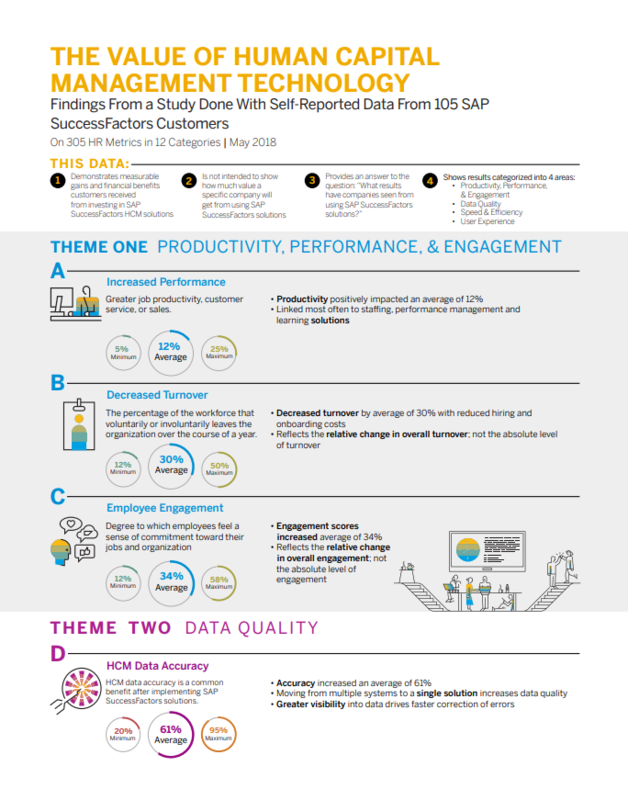 This infographic and white paper provide the findings from a study done by SAP with self-reported data from 105 SAP SuccessFactors customers, measuring 305 HR metrics in 12 categories.